Those walking the church’s labyrinth travel along a looping, spiraling path to a rosette at the center, pause there for as long as they wish, and then make their way out again. Modern labyrinths often are used as aids to meditation, contemplation or prayer. 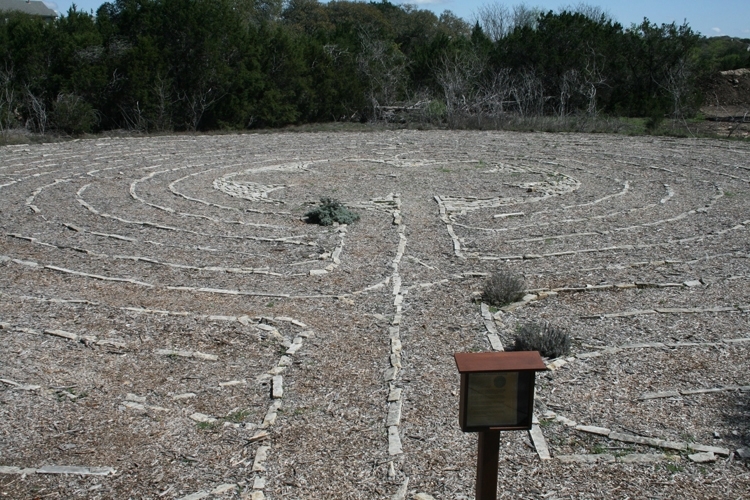 This article from the UMC website explains the use of labyrinths as prayer aids. And this resource from the Upper Room Living Prayer Center contains some practical tips on how to incorporate walking prayer into your labyrinth walk. The labyrinth is located next to the Children's Building (see campus map) and is available for public use.